Way back at the start of February, in the midst of a horrible cold and feeling rubbish I decided to set up the studio for a record size piece. 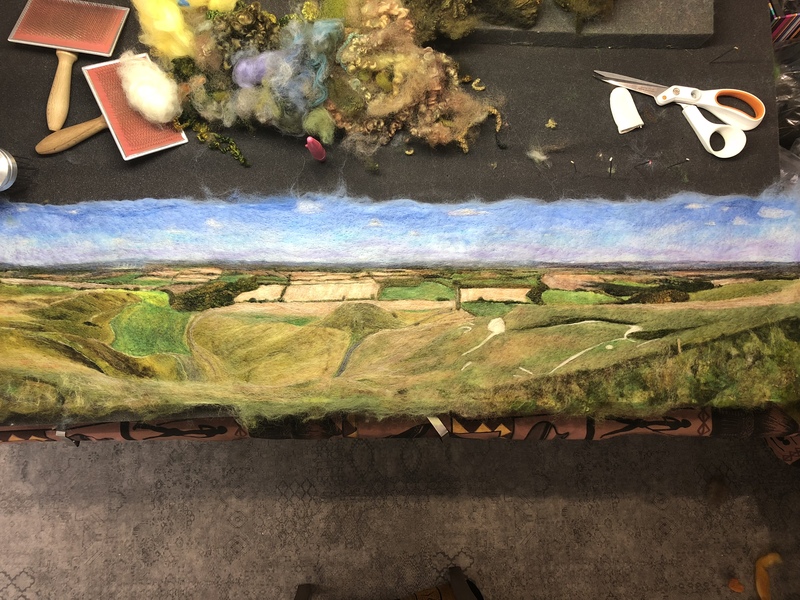 I'd been putting off tackling Uffington White Horse for a year since we moved to the area so obviously felt this would be a good project to distract me from feeling ill! I set up the backing felt at 1m across thanks to my new giant size foam pad. A couple of months later and I honestly don't know how I coped without it before! Such a useful bit of kit. After laying down the sky, I used some old needles to place as markers along the width of the piece to help with scaling and proportions. I usually do this by eye but the scale and detail of this image meant I needed to plan a bit more. As I was working off an image on my phone, I set the spacing so each section matched the zoomed image on my phone. 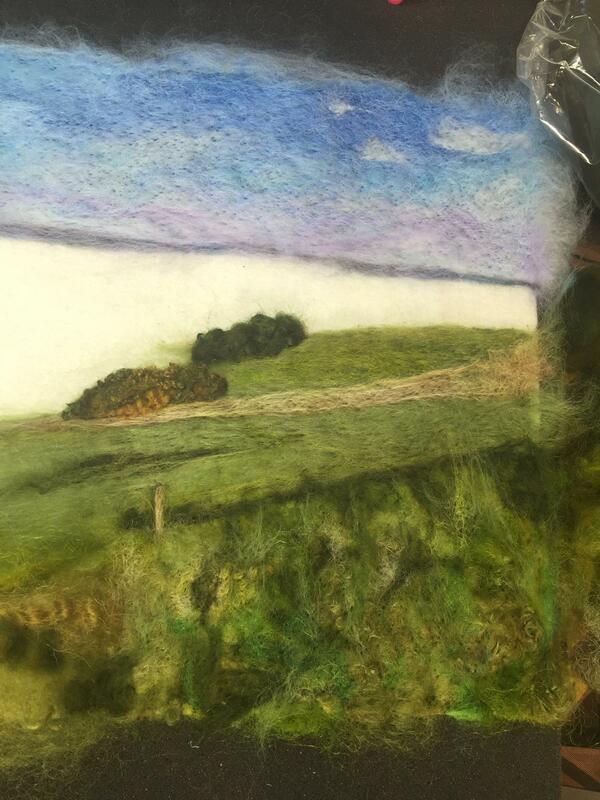 It worked for the most part but I did have to adjust a few sections and at one point had to re-do a fair bit of the right hand section where the height of the hill didn't match up when I joined the two ends together. I worked in sections from both ends and then moved up to join the hills to the horizon. 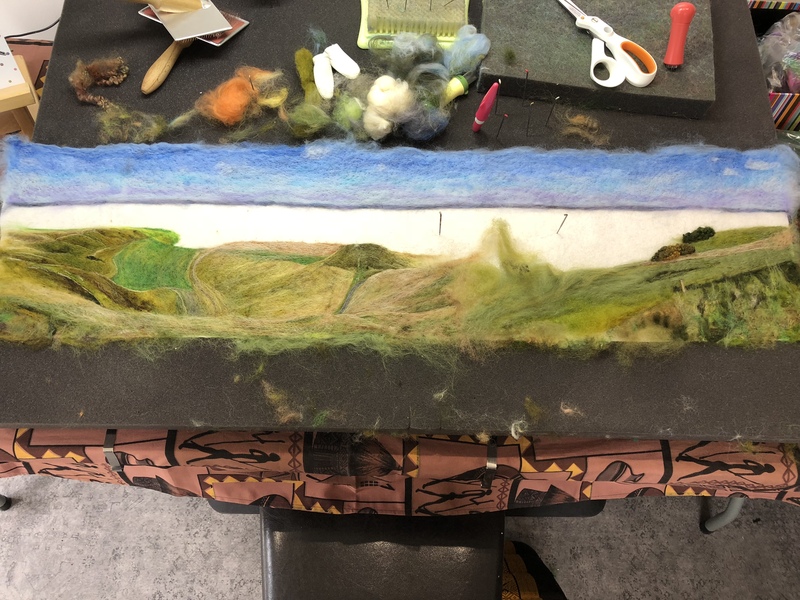 I start by laying out the colours and rough shapes and then refine these as I work with the needles so the image gets more detailed and defined. 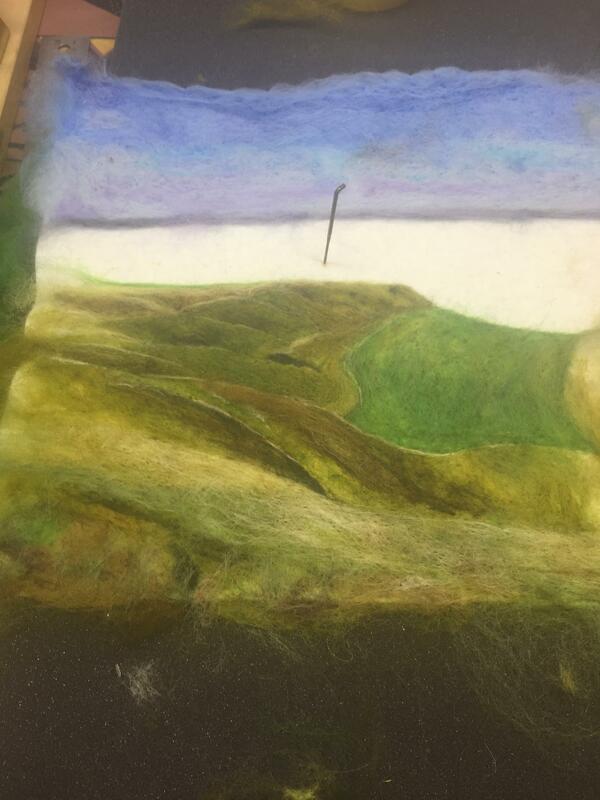 It was March by the time I joined the hills up to the horizon and then the final stage was adding the white horse in and tidying up the edges. 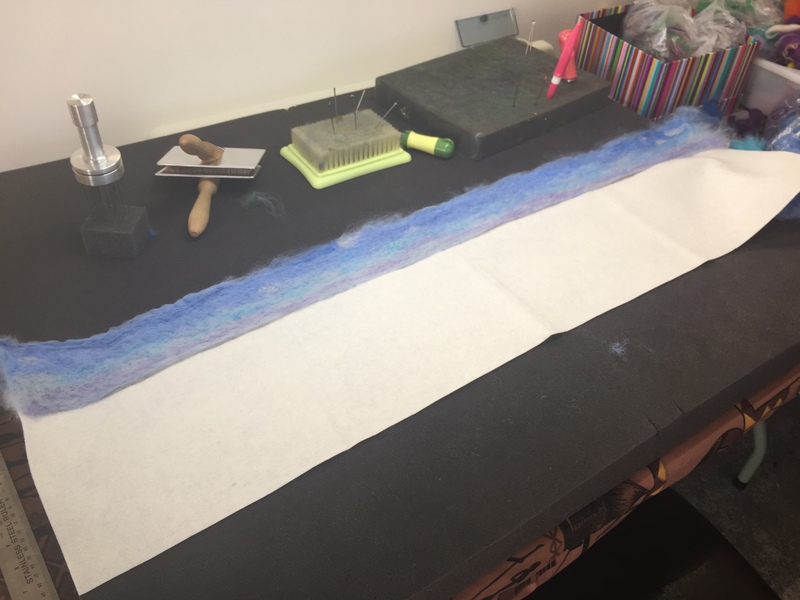 I do this by flipping the whole this over and folding the fibres over behind the backing felt and needling from the other side. 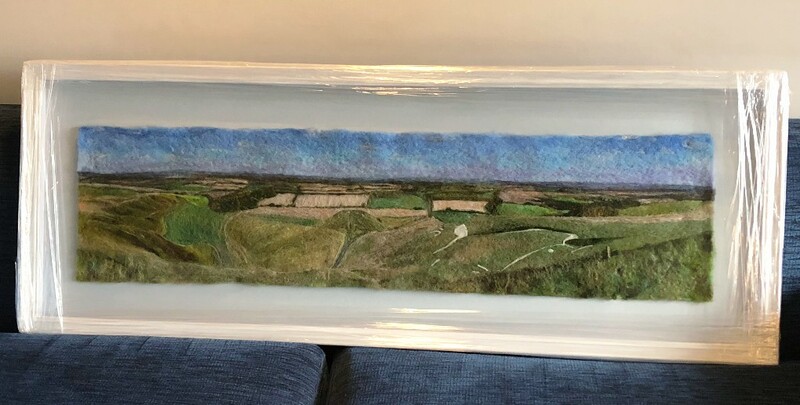 Given its size this was definitely a job for a professional framer so I took it to Kate at Well Hung Framing in Watchfield who did a fantastic job of mounting and framing it with the edges visible to show off the woolly texture. The piece is going to be part of the Swire Ridgeway Arts Prize. 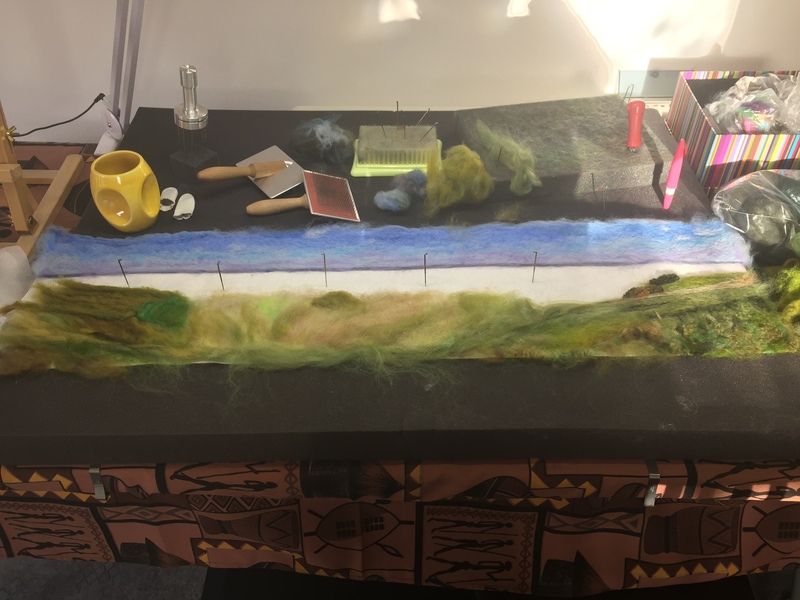 There will be an exhibition of works submitted for the competition as part of the Ridgeway Friends Day. 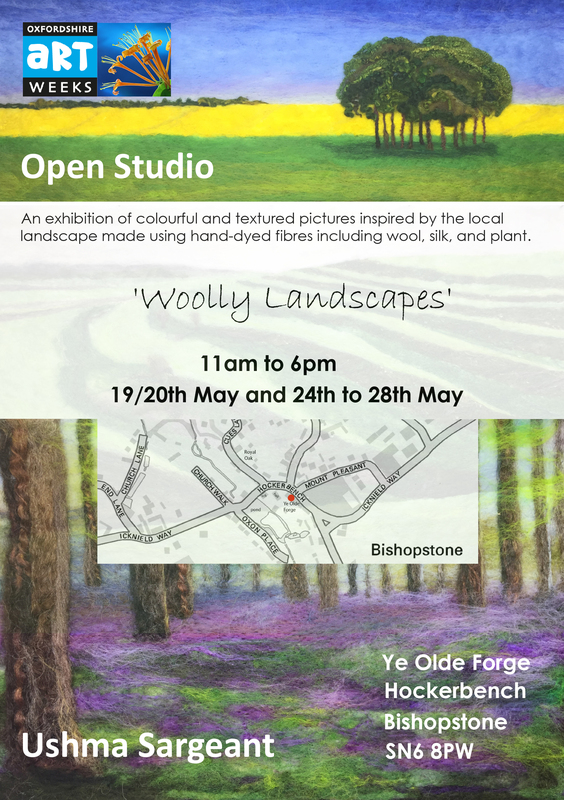 It will be open to the public on Saturday 21 April and Sunday 22 April 2018 in the Thomas Hughes Memorial Hall, Uffington (Broad Street, Uffington, Oxfordshire, SN7 7RA), located in the centre of the beautiful and historic rural village of Uffington in the Vale of the White Horse. Thereafter this piece will be on display for Oxfordshire Artweeks at my studio. See poster below.